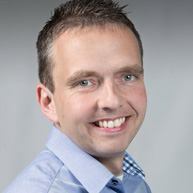 Mobile learning (mLearning) allows the user to learn and train flexibly without the need for a fixed time or location. Spontaneous learning anywhere, anytime, or when specific knowledge is needed, promotes increased attention and motivation to learn. Direct and short-term feedback encourages learning success. Nowadays, smartphones and apps are well known and the daily companions of almost every learner. Mobile learning is based on the intuitive operation and wide spread availability of this technology. 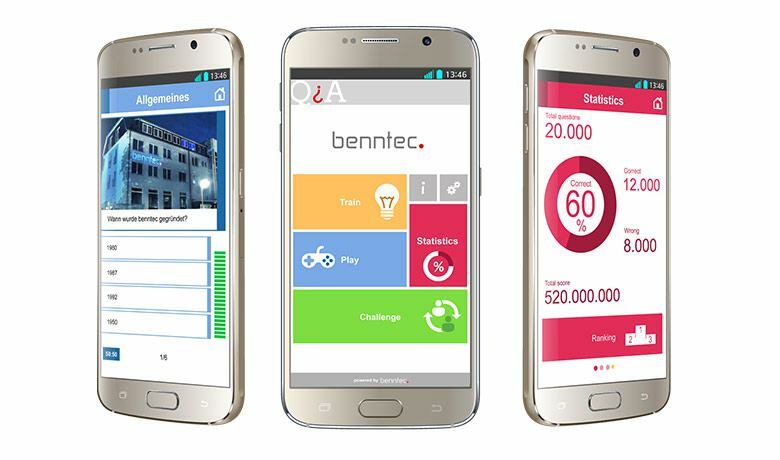 benntec has a tailor-made mobile solution for your project. With your own app you get all the advantages of mobile learning as well as individual design and development. Your own corporate design, integrated videos and pictures, interfaces with existing training technology - no problem. With our editor for the app, you can easily create and update content yourself on a daily basis, manage users, view statistics, and much more. Get started with real mobile learning! The logical extension of classical learning media and e-learning. 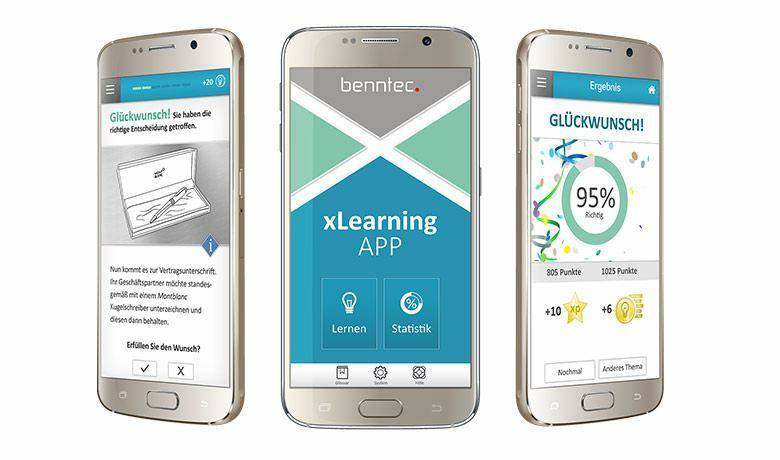 Sustainable knowledge and interactive content are the key arguments for mobile learning by benntec. Developed according to market requirements, our flexible products convey knowledge playfully. Learning can also be fun! Provide knowledge and apply it with the xLearning-App. Multimedia content: videos, images and stories. The flexible app for complex topics. Test your knowledge with a quiz! Secure and compare knowledge with the Q&A-App. Motivates and enhances learning success. Your content. Easy to edit. Your corporate design.